Smart doorbells have become a popular alternative to traditional home security systems since their debut in 2012. 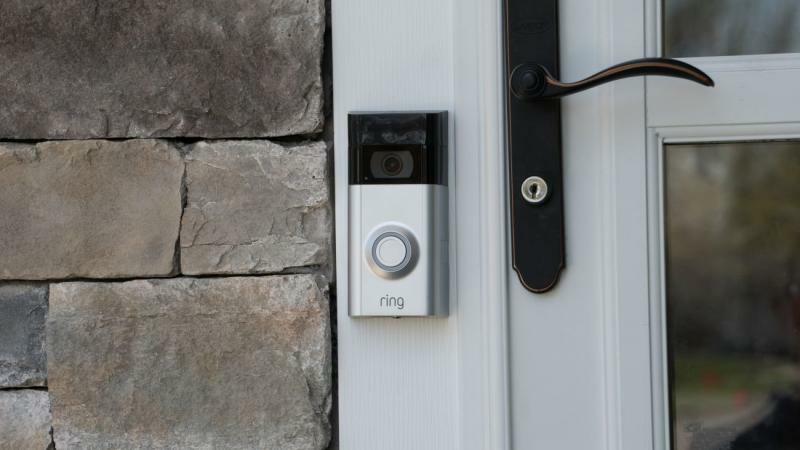 In many instances, these Internet equipped doorbells are less expensive than other home security options, and they have been successfully used to capture imagery of everything from package thieves1 to curious snakes2. A smart doorbell is essentially a caller ID function for your front door. Therefore, these doorbell cameras are definitely a wise choice for introverts and anyone else who doesn’t want to open their front door without knowing who is on the other side. They also make it easy to monitor the area directly in front of your door when you’re away from home, thereby letting you keep an eye out for important deliveries. Despite the numerous perks of owning a smart doorbell, you might be wondering whether they’re actually a better choice than a traditional home security system. Therefore, we’ve put together a pros and cons list to help you decide. As you’ll soon see, smart doorbells are a very handy piece of technology that can provide some much-needed peace of mind for homeowners. Let’s face it; the most critical part of your home is the front door. This is the access point that most people will pass through, and it’s also the chosen target of many door-to-door salespeople and burglars. Having the ability to see who is at the door each time the motion sensor is tripped will not only give you peace of mind but also enable you to contact the police, if necessary. The burglars in KGW8’s report showed a clear preference for breaking in between 12:30 p.m. and 2:30 p.m. due to the typical work and school schedules of their victims. According to the FBI, the average homeowner loses $2,416 worth of property during a burglary. As long as you have a smartphone, you can keep an eye on your front door from anywhere. In other words, even if you’re on a business trip on the other side of the world, you can get a real-time video feed that will show you what’s happening at your front door. Working parents can use this feature to make sure their children get home from school on time. Some smart doorbells enable homeowners to speak to visitors through the system. If you’re running late and a friend is waiting at your door, you can communicate with them without having to make a phone call or send a text. You could also give package delivery people instructions about where you’d like your package to be left. Some of these handy systems even make it possible to unlock the door remotely from your phone, which could be very useful if you want to let someone in without giving them a key. Whether you’re giving a friend emergency access or letting in your dog walker, this is a highly useful feature that makes it easier to increase home security. Some homeowners utilize this option during inclement weather to allow delivery people to place a package inside their house. The many pros of a smart doorbell do need to be weighed against the few cons. Since each person has their own specific security needs and concerns, this list will give you a more balanced understanding of what you can and cannot expect from a smart doorbell. You could technically install a smart doorbell on a back or side door, but there’s no viable way to attach this technology to windows, sliding glass doors, pet doors or most exterior basement access points. There are home security systems that cover these additional access points, but they come with a much more exorbitant price tag than the budget friendly smart doorbell alternative. A smart doorbell will let you remotely see if someone is at your front door, which gives you the opportunity to contact the police during a break-in. However, the system itself is not designed to provide any back-up assistance. This means that there’s no automatic signal sent to a monitoring company or local authorities, nor is there a loud alarm that will go off from within the home. Burglars are usually out of the house within 12 minutes.7 To get the most out of your smart doorbell, you’d need to personally monitor it on a regular basis. This probably isn’t an option for most people, especially during the workday. On the plus side, the smart doorbell’s ability to capture and store video footage will dramatically increase the local police force’s odds of finding the culprit if anyone does break in. Now that you know the most notable pros and cons of a smart doorbell, it’s wise to conduct some further research to find out what type of system is best for you. For some consumers, the price of a smart doorbell may seem prohibitive, but the reality is that this particular product is typically cheaper than most home security systems. Monthly fees also tend to be much more affordable than taking the alternative approach to home security. If you’re still concerned about price, keep an eye open for competitive sales. It’s often possible to get a really good deal, which truly makes a smart doorbell a no-brainer.